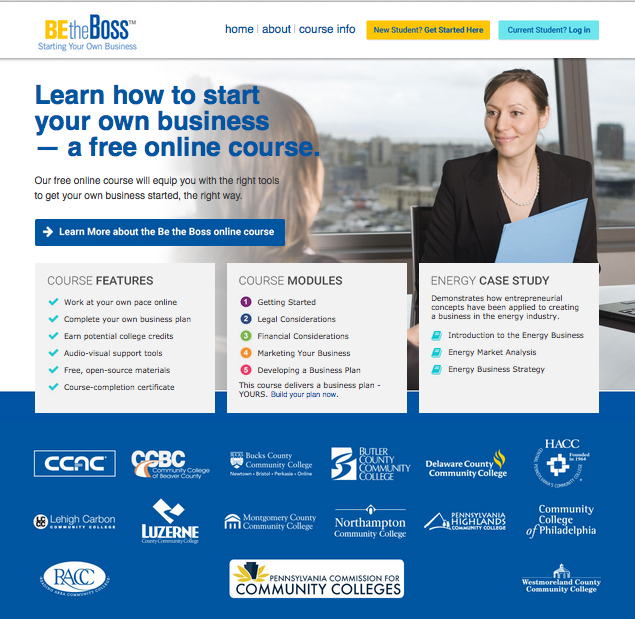 As part of a grant being administered by Montgomery County Community College, the Pennsylvania Commission for Community Colleges asked for help branding and marketing their new online course for entrepreneurs. 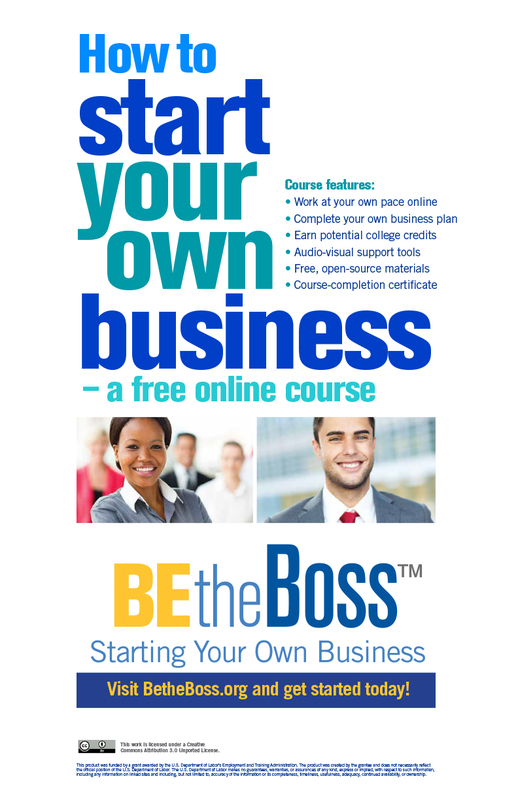 The course was simply called “Starting Your Own Business,” and was part of the Business and Entrepreneurial Initiatives Collaborative. Not only was all that a mouthful, it didn’t get to the heart of what makes people buy or support brands: self-esteem. We needed to appeal to the entrepreneurial spirit of these potential students, and make them feel good about participating in this course. 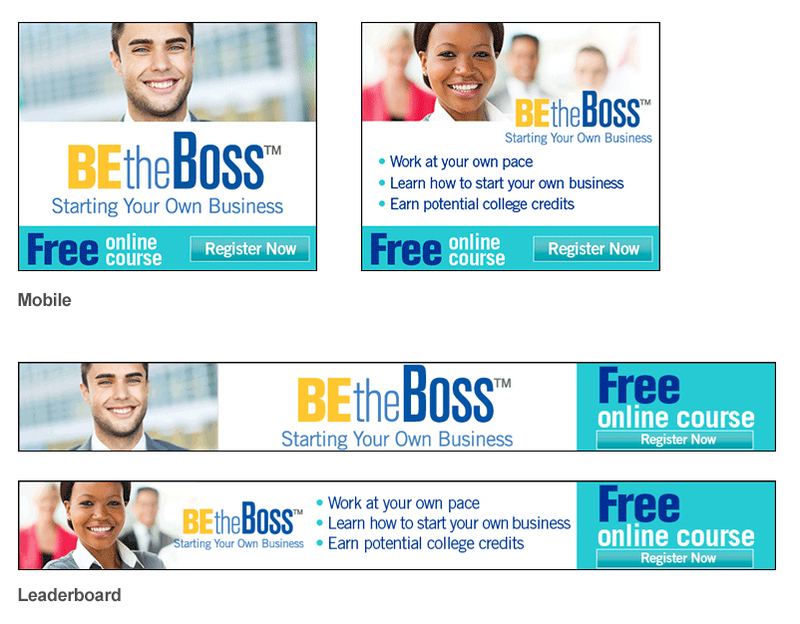 We started with naming the course “Be the Boss,” and creating a visual identity that would stand out in the digital space. Next, we tackled the website. 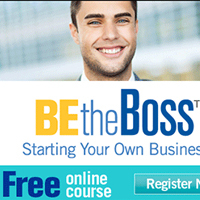 The existing URL (beresource.com) was based on the old name and no longer made sense. 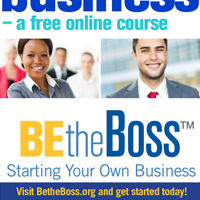 We worked with PCCC to get betheboss.org, and then designed a website that was informative and easy to navigate. 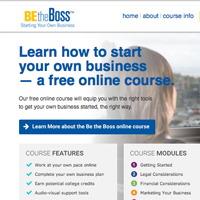 The website was going to be the main sales piece for the course, since all online advertising would drive potential students there. We then devised an online media plan made up of three areas: programmatic banner ads, Facebook exchange ads and Google AdWords. The goal was to find potential students where they are online, and to draw them in to the website. The campaign ran for three months, and had very favorable conversion rates.